Above, even a tractor-like vehicle OPPD employees tried to use to navigate the heavy snow cover was no match for the blizzard of 1975. 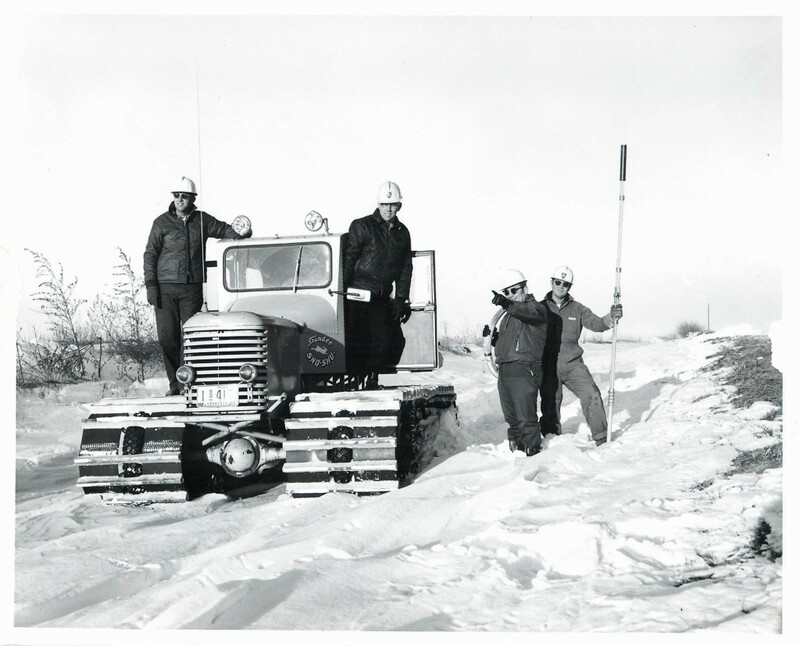 January 10 marked the 41-year anniversary of a blizzard like none Omaha had seen before or since. It dumped more than 14 inches of snow with drifts up to 20 feet in some places. Winds, which reached 60 miles an hour, caused white-out conditions. “We had an idea it was coming,” said OPPD retiree Bruce Hayden, who worked as a project manager for T&D at the time. “Of course we didn’t have all the forecasting technology that we have now,” he said. The electrical issues with this storm were fairly minor. That, as it turns out, would be the major issue for OPPD and the rest of the area – not outages, but mobility. Stattler said his car broke down before he even got a chance to drive home in the snow. Hayden was stuck somewhere a little less accommodating. He spent three nights at work at 43rd & Jones streets, where OPPD’s Energy Control Center is currently housed. A number of other employees were stuck right alongside him. Hayden said at one point over that three days, a co-worker made it down to a sandwich shop at 25th & Farnam streets, and everybody managed to get a sandwich. But outside of that, they didn’t eat a whole lot. Food was also an issue at Fort Calhoun Station, where approximately 40 employees were stuck, waiting out the storm. According to a story in the Blair Enterprise newspaper at the time, a C.B. radio enthusiast overheard the problem and got her husband involved. He made his way to the plant on a road grader carrying supplies that included eggs, ham, bologna, cheese, crackers, pickles and cigarettes. The OPPD employees were among hundreds in and around the Omaha metro who were stranded at work. Some 10,000 cars were stuck on the roadways, as well. OPPD crews in four-wheel drive vehicles and snowmobiles found themselves in the roles of rescuers several times. One crew picked up people injured in an accident, getting them to the hospital. Another, from the Papillion Service Center, assisted a Ralston Rescue squad when their ambulance became stuck. They got the squad to their destination, where they delivered a baby boy. An article from OPPD’s Flash magazine recounted Cindy Jenny’s rescue. And yet another OPPD crew from the Papillion Service Center spotted a stranded motorist, Cindy Jenny, who’d left for home on foot when her car got stuck. She became stranded and disoriented. After more than an hour outside trying to find her way she was beginning to succumb to her exhaustion. 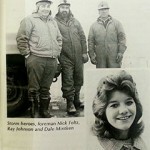 That’s when crew members Nick Foltz, Ray Johnson and Dale Mintken picked her up and saved her. Still, 13 people lost their lives in that storm. A relative of Bruce Hayden was among them. “My wife’s uncle tried to help someone with a stalled car and suffered a heart attack.” Hayden said. His oldest son tried to make his way through the snow to help comfort his grandmother, but got stuck and suffered from hypothermia. He credits his wife, Roxanne, for handling these hardships – not to mention a malfunctioning furnace – on her own, while he was stranded at work. I will forever be grateful to Nick Foltz, Ray Johnson, and Dale Mintken for rescuing my sister Cindy Biel Jenny. She would not have made it without them finding her. They could have easily just driven by; but they thought they heard something, and they went back to check. Thank you! !